German rabbi; born at Breslau Aug. 19, 1846. He attended the Jewish theological seminary and the university of his native city (Ph.D. 1873). 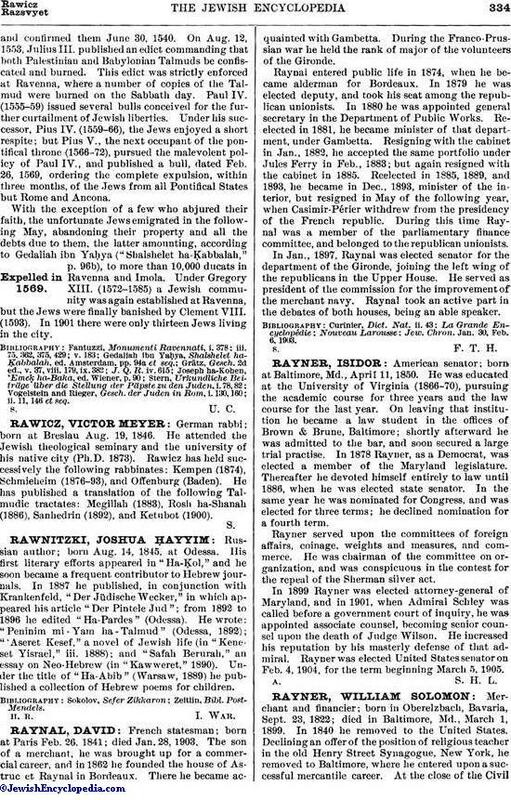 Rawicz has held successively the following rabbinates: Kempen (1874), Schmieheim (1876-93), and Offenburg (Baden). He has published a translation of the following Talmudic tractates: Megillah (1883), Rosh ha-Shanah (1886), Sanhedrin (1892), and Ketubot (1900).